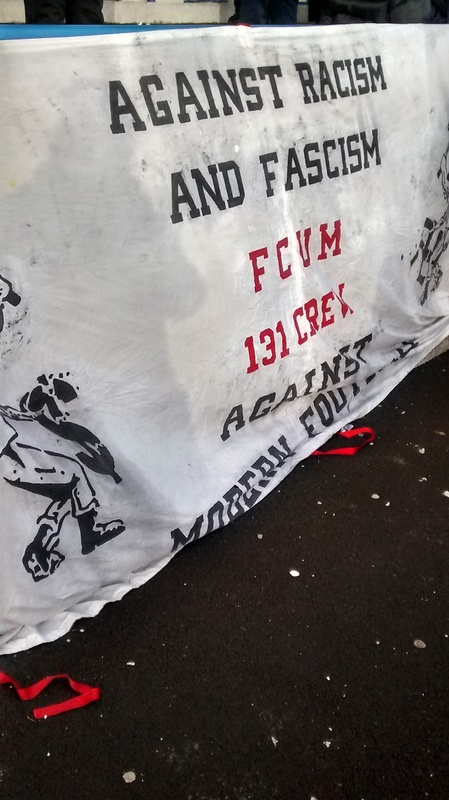 I moved back to Manchester last year and a trip to see FC United has been on the cards for a while. Last Saturday, for the first time, work commitments made it possible for me to get along to see FC United take on AFC Fylde in the FA Trophy at Tameside Stadium in Ashton. A win would see them in the Quarter Final, only two games from a Wembley Final. It was in here that I took the opportunity to speak to some of the fans about FC and I should state right from the outset these are no “soccer zanesters” it was clear that all of the people I spoke to are truly committed to the cause. Although, in the main, the fans were from a United background I met a couple of Ipswich fans, a Geordie, and a Celtic fan who got fed up being banned from Celtic Park so he now travels down most weeks to see FC. There was a suggestion mooted that amongst their number there may also be a couple of City fans but I sense that may be urban myth.. The most interesting story came from Andy, an articulate and intelligent man in his 40s, he explained he’d been a season ticket holder at Old Trafford for many years and despite being deeply disturbed by the Glazer take over he still renewed his ticket. However, at the first game of the season he looked round about him and decided this was no longer “his” United and there were too many in the ground who were not “his” people. He left at half time, sold his season ticket on and has never been back since. He’s been following FC from the beginning and his only regret is that he won’t ever be able to take his nephews to a game at Old Trafford. Although his sadness at leaving United behind was evident more obvious was his passion for FC. That was a recurring theme, regret at the events that led to the existence of FC but a wholehearted commitment to make FC be the club they want them to be. By the time another couple of pints had been taken there clearly was a buzz about the place, Fylde are in the league above FC and were on a 10 game unbeaten run, so there was bravado and confidence underpinned by the unspoken feeling that FC could take a proper shoeing. The walk down to the game was a mix of sing songs, cans being swigged and blokes ripping the piss out of each other. Try that at Celtic Park or Old Trafford and you’ve got yourself a fine and a banning order. 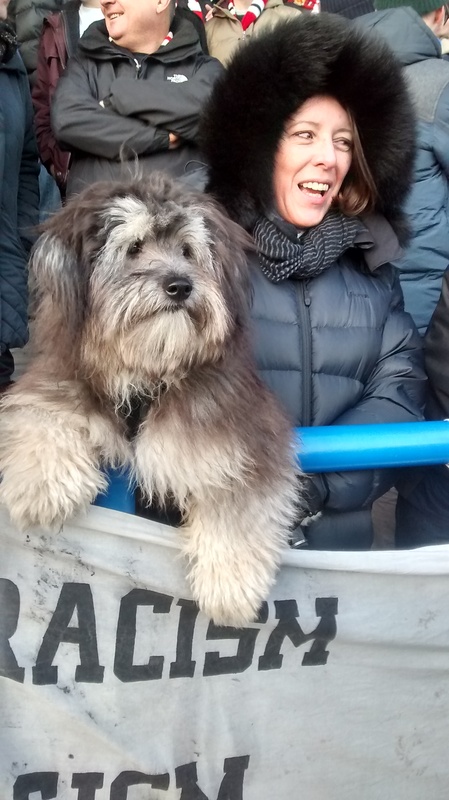 At the ground ahead of the 3 O’clock kick off we got in the queue and asked if we could have the correct money ready for the turnstile operator and with that the eight pounds were handed over. It actually dawned on me that it must have been over 20 years since I paid cash to get into a game. Once inside my old “Jungle instincts” kicked in, my preferred spot in the Jungle was at half way line under the TV gantry so it seemed the natural place to stand and the boys unfurled their FC and Anti Fascist banners and Nathan opened his tub of moisturiser and did his vital pre-match preparation. He was subjected to some more basic skin care advice by the lads around him.An eclectic bunch and no mistake. About five minutes before kick off the terracing was filling up nicely and the first proper chants started, “BRING ON UNITED” going back and forth across the ends of the terrace growing in volume and intensity as we waited on the team to come out the tunnel. The actual 90 minutes of the game were just sensational, the singing never let up for a minute, FC raced into a 2-0 lead after 20 minutes with each goal being greeted with a good old-fashioned bundle after the goal meaning you ended up about 12 feet from where you were standing when the ball went in. Another goal came via the penalty spot so FC went in 3-0 up at half time. That was our cue to nip round the back of the stand for a piss against the side wall of the stadium. I was getting ‘Nam style flashbacks to Tynecastle in the 80s where you’d have pissed in your mate’s pocket rather than head into the Hell that was the Tynie lavvy. After the restart there was no let up in the intensity of the support from the FC fans, a goal from Fylde after 10 minutes could have seen them buckle. But a magnificent response from the players roared on by a passionate support enabled FC to see out the game leaving them 180 minutes from running out at Wembley. The players came over to the fans at the end clearly grateful for the backing they got from first to last, with a last 8 spot secured you couldn’t really fault the support for leaping the hoardings for a hands on celebration with the players. After the game it was back to the Cricket Club for a couple as the trams would get mobbed as they passed the Etihad. The club was again busy with the usual post match analysis from some, a couple trying to get a sing song going and a group of lads ripping into each other about their plans for the evening. A couple of trays of chips and a load of buttered bread appeared and a very welcome chip butty was dispatched to help soak up the ale. In the last 10 years I have watched football at Celtic Park, Hampden Park, Camp Nou and Old Trafford, every game a big occasion, 50,000 plus at every match. Each of those games took place against a background of expensive tickets, orchestrated fun, corporate involvement and the clear impression you were there as a “consumer of the product” than supporting your team as a fan. Saturday’s experience was comfortably the best match day I have had in that 10 years and probably a few prior to that. 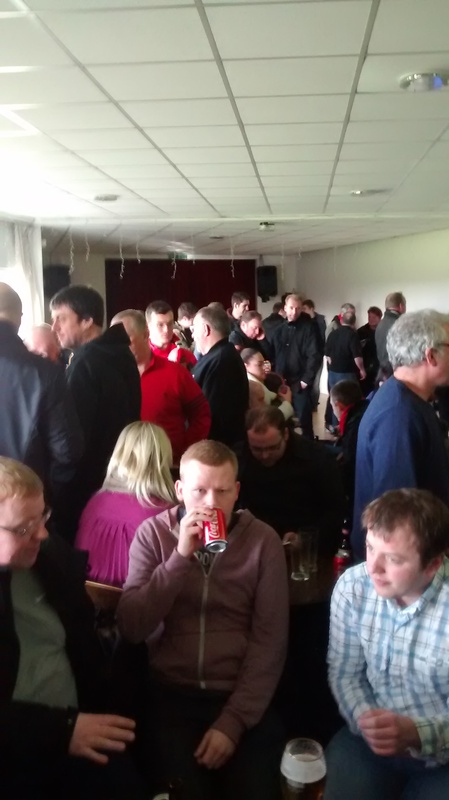 FC United are not a made up club, their support are not some kind of reconstructed hipsters, they are committed passionate individuals who want a club that they can be truly proud of both on and off the park. Their new stadium once complete will help regenerate a community and give FC a home from where they can move the club forward with the values of democracy and fan ownership and control at the heart of the club. One day out at FC United and I think I fell properly back in love with the game. Excellent review of the day. I was in the cricket club post-match with a couple of mates and 2 juniors. Glad you enjoyed it, sorry I didn’t get to meet you. An excellent article. Hope you’re enjoying life a little more these days. Be good. Sounds like a blast back to the `70`s. I`ve also lost a bit of enthusiasm for the game with the over Sanitization and “Ye need tae sit doon mate” sheep hearding that we have all endured for far too long. Well written and pasionate as always. Got me thinking about a weekend away now.